Contact us or visit us on Facebook! We've all had a great year! Now lets finish with out version of an awards ceremony. If you show up, you get an award. That simple. Location TBD. If you would like to join CFFA and get email updates, click on the link below to get started. You will be contacted with more information on what to do to become a member. If you have ideas for events and activities and want to see them come to life through CFFA, click on the link below. You will be contacted about the ideas and they may be announced at the next meeting! The results of this poll will be displayed at the next meeting! Leave a comment about how FFA has influenced your career choice after you complete the poll and you could be featured on our website! Our essay contest has ended. Check back soon for the announcement of this year's winner! Here's the simple truth: if you show up to the party, you get an award (and they are creative!). You also get to experience some awesome burgers and/or brats usually provided by Bucky's Butchery. Location is still TBD. Click here to join the event! Join us for our end-of-the-year party at Chuck E. Cheese's on Tuesday, April 28 from 6:30pm to around 8:30pm. Click here to view the event page and/or sign-up to go! We have a movie night planned for Wednesday, March 25 at 6:30pm at Steenbock. Please come for some studying, movie watching or card making! Last year, the CFFA had a great time volunteering to man the phones for the WPT. Let's make this another success this year. More details to come soon on exact dates and times volunteers are needed. If you want to help out at Hockey Extravaganza on Friday Jan 30th, please email Josie at dallam@wisc.edu. For helping, you will get a free pizza dinner and a free 2nd tier hockey ticket to the Minnesota game! If you like studying in a group setting, then come study with the CFFA at Union South. 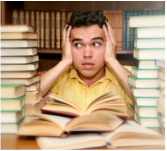 We have reserved a conference room from 7-10pm on Thursday, December 11th for a group study night. There will be snacks for everyone who shows up! The room number will be made available soon. "With the world’s population expected to reach nine billion by 2050 and farmland virtually at capacity, one big question looms: How will we feed everybody? We saw great interest for a pumpkin carving social at the meeting tonight. More information to come about exact details. We are hosting a parliamentary procedure workshop on Tuesday, November 18 from 4-7 pm. Specific details will be coming soon, so keep checking. 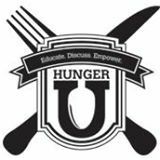 The UW-Madison CFFA is partnering with HungerU this November to bring the campus a great opportunity to learn about the world hunger crisis. Check back for the place, specific times, and events. 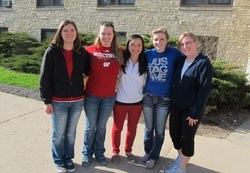 For more information on the HungerU organization, check out their website and their Facebook page! That's the date. Save it. Check back later for more detailed information on the Hockey Extravaganza.